With a dash of embarrassment and a touch of sadness I have to say that it took me way to long to come up with this article. And I have to admit, with shame, that it is 11 pm and I found the main subject for this article only a bout 4 minutes ago. But, at least I have something for you guys and that makes me feel a little bit better. So now that I have all of that off my chest, let’s start with the actual article. 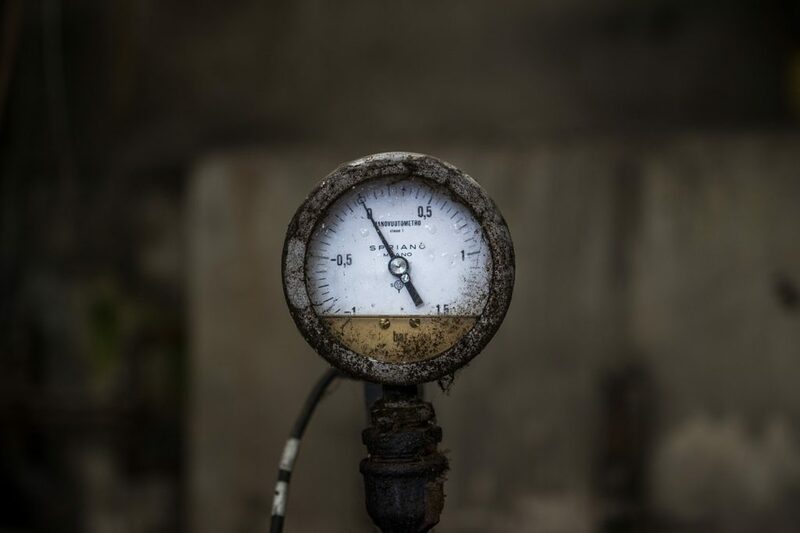 Today I have for you a collection of products with an industrial theme and design. Thank god that I don’t own a house just yet so that I don’t have to decide yet how to decorate my house, because I don’t have enough money to buy all the stuff I like, not only in this list, but also in the rest of my blog. 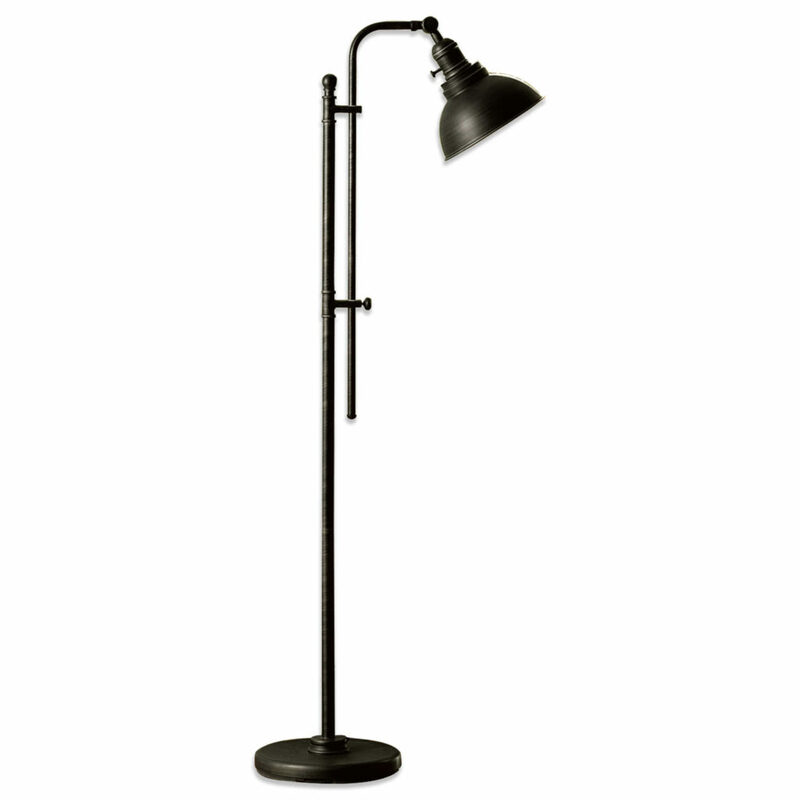 First thing first, we start with a simple floor lamp. But as simple as its design is, this lamp is also beautiful and industrial yet not very striking. And due to this, the lamp will not fit just inside an industrial space but it can also be fitted into a modern or more classic home interior. Next item on the list is a multi purpose bench with a really interesting design. I say multi purpose because although this is a 3 seat bench and it can be used with its intended purpose at the entrance of your home, it can also serve as a beautiful TV stand, book shelf or even a coffee table. It is all up to you. Its black paint coating and wood colored scratches give it an old and industrial feel and charm. 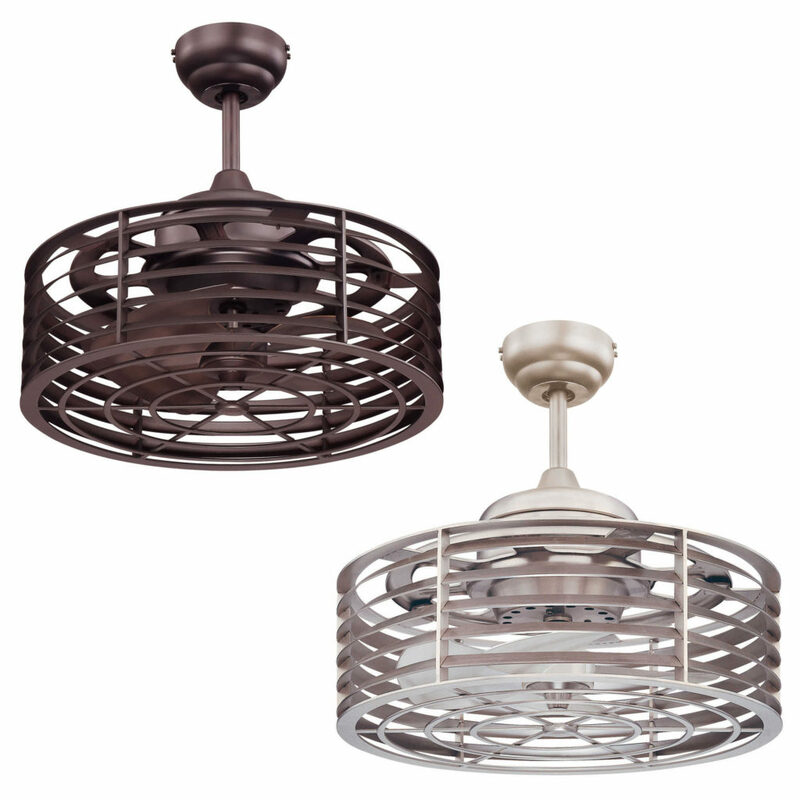 For those hot summer days that are not too far enough, the next product will be as gorgeous as it will be useful. I may have mentioned in a previous article that I used to watch, and still do from time to time, old detective movies. And this next product I can swear to have seen it in one of those movies. So it’s not only a industrial design product but it is also a classic piece for all you fans out there. A proper ceiling fan for a hot summer industrial day. A proper industrial living room deserves a proper industrial looking end table. 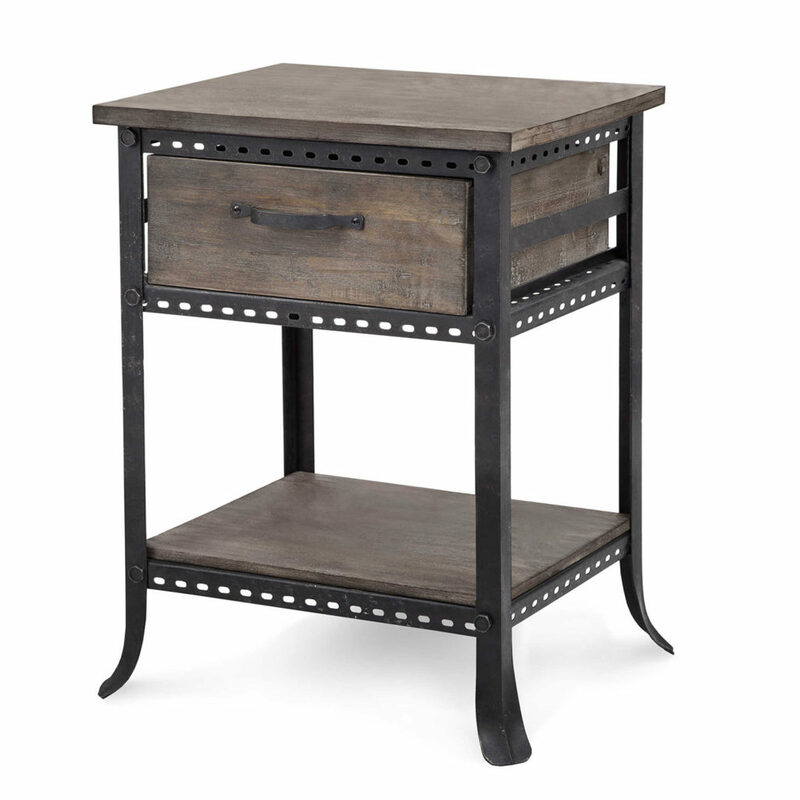 With the simple combination of gray painted wood and metal ends, this furniture piece looks and feels industrial. This next piece I found too late and this is why you will not find it in my previous article dedicated to desks. But if I had ran into it at the time, I promise that I would have added it to the list for sure. 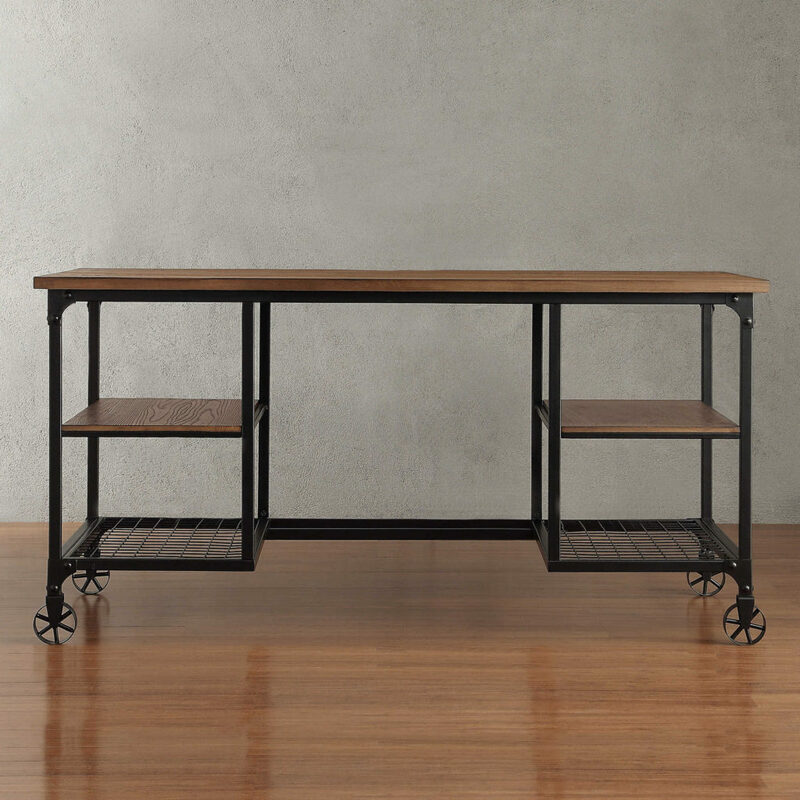 With a wood top, two wooden shelves and two metal shelves at the bottom, this desk both pretty and functional. 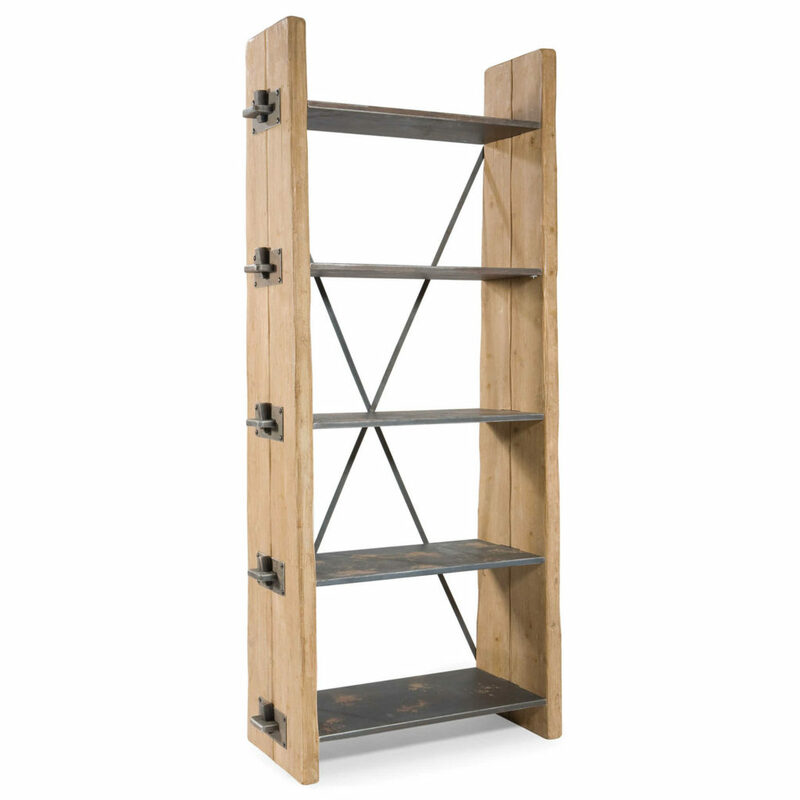 It looks industrial and it is perfect for your space saving needs. And because I presented you with a desk, which I presume that you will use in your study, I have to introduce you to another key piece of furniture that it is often found inside the study. That’s right, next we have a beautiful bookcase with kind of the opposite design of the pieces that I have presented so far. This time, the side parts are wood and the actual shelves and back support are made out of metal. This is a more unique design, the reason for which I have chosen this piece and it is still industrial in its design. 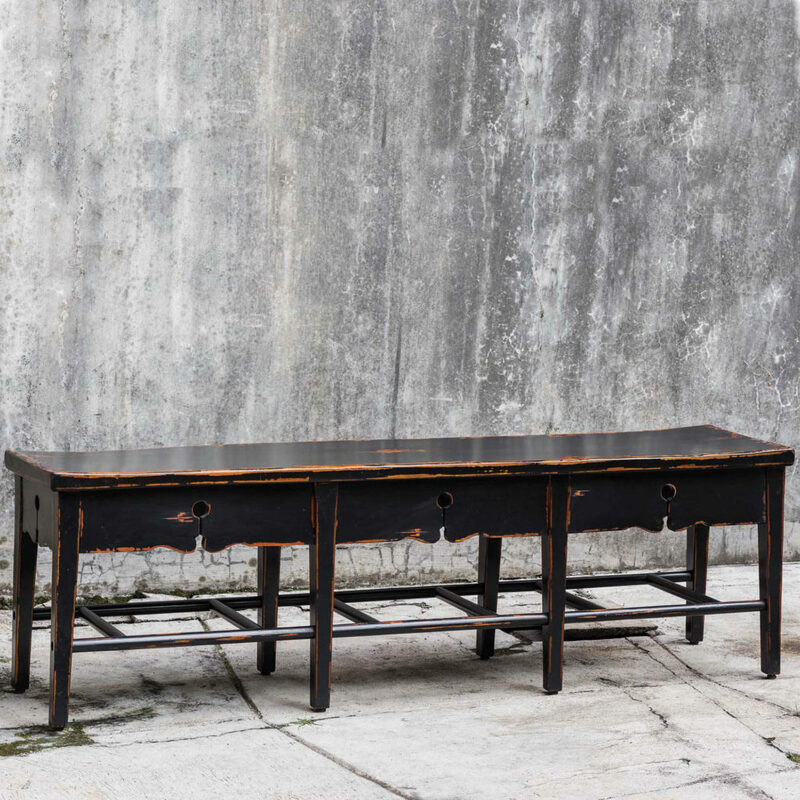 And we have arrived at the end of our industrial furniture list. This was just a quick list with a few examples when it comes to industrial design. In the future I hope to come up with more complex and detailed articles regarding the industrial design and industrial products and I hope you enjoy them. Have a good night and a beautiful home! This article’s featured photo comes from Pixabay.